This is a guest article by Dr Mike Clayton, the brains behind OnlinePMCourses.com. It’s an edited extract from his book ! In the 1970s, the social psychologist Irving Janis examined how groups make decisions. He found that a group’s dynamic often inhibits exploration of alternatives. People find disagreement uncomfortable, so the group seeks consensus before it has reached a satisfactory conclusion. Concurrence-seeking becomes so dominant in a cohesive group that it tends to over-ride realistic appraisal of alternative courses of action. When we fall prey to Group Think, decisions tend to be based on “what we all know” – that is, members are inhibited from challenging the consensus and relevant information, ideas and challenges are not fully explored. As a result of Group Think, the group tends to a higher collective confidence in a decision than individuals have in the same decision made separately. Therefore, with dissent discouraged, groups tend to endorse higher risk decisions than individuals would. Psychologists refer to this as “risky shift”. People with more extreme positions are more likely than others to develop clear arguments and are also most likely to voice them. Comments early in a debate are more influential in forming opinions and also create the framework for the discussion. Where Group Think starts to endorse a decision at one extreme, members of the group may be emboldened to put forward still more extreme points of view. 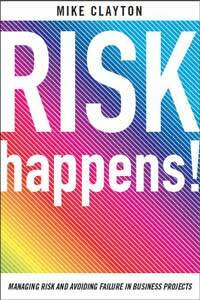 Risky shift is the difference between the average risk taken by individuals and the risk taken by the group. This can generate either a risky shift towards a higher risk position or, equally, a cautious shift towards a more risk-averse stance. Risk management will make you a better project manager, so it’s worth spending some time thinking about how to address this issue. In unstructured, free flowing discussions, the information that tends to be talked about the most is, paradoxically, the information that everyone already knows. Therefore, to prevent Group Think, you must ensure that new information can be introduced, dissenting voices can be heard and criticisms can be made. Here are 6 tips for dealing with Group Think. Ask one member of the team to play the role of “devil’s advocate” and seek to oppose any consensus with contrary evidence, different logic, fresh interpretations or a new perspective. In their book, The Corporate Fool, David Firth and Alan Leigh identify different ways we can shake up the soft thinking and status quo of organizations by borrowing from the different roles of the medieval ruler’s fool. The “contrarian” challenges norms and the “truth-seeker” tells difficult truths. This is just the cure for Group Think. A bright cover for Mike’s own book, Risk Happens! There is no reason why we should not all adopt the devil’s advocate role. Edward de Bono’s “ Six Thinking Hats” approach to critical and creative thinking suggests that two hats – the White Hat and the Black Hat – encourage us to assess the evidence logically and with all of the available data (White Hat) and to challenge, criticise and evaluate all that has been proposed (Black Hat). As a project manager, encourage your team members to all put on their White Hats and Black Hats from time, to avoid sliding into Group Think. There are many types of “leader” in a discussion: the chair or facilitator, the expert or the boss. All of these individuals can have a disproportionate impact on the group’s thinking, arising from the status they possess. To help avoid group members being seduced by the leader’s point of view, ask them to hold it back until after the main discussion. This has a large extra advantage: when we state our position, it becomes harder to change it and often this is even more the case when we see ourselves as leaders or experts – we fear losing face. By encouraging the leaders and experts to not state their position, you make it easier for them to evaluate the arguments they hear and therefore re-evaluate their own thinking. If a group is susceptible to Group Think, it will fight hard to have its point of view adopted. By splitting it into two or more independent sub-groups, you encourage each to think for itself. Bring them back together to share their thinking in plenary. This way you will hear a range of arguments. This is a really easy technique to use and it goes some way to addressing the risk. When you bring new people into a group, you do more than just introduce fresh ideas. With no group allegiance, they will not feel the same pressure to conform. And, as an outsider, they will be unlikely to share the group’s acquired biases and prejudices. They will need to ask questions to understand arguments and will not settle for easy and weak answers. Most of all, they bring diversity of ideas, thinking styles and knowledge. When we contribute anonymously to an argument, we are far more comfortable and likely to say what we really think. How can you use suggestion boxes, an online forum or an independent intermediary to encourage honest feedback and genuine contributions? 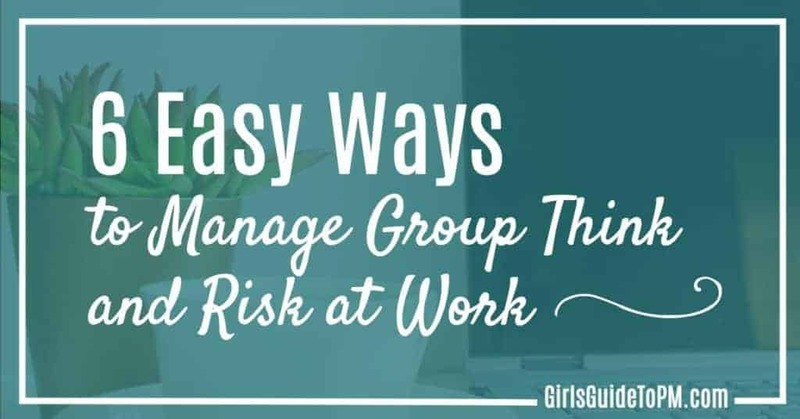 These 6 simple ways to manage Group Think will get you better project results and manage project risk. Get the Fast Start Program project management training, and accelerate your way to project management success! Try out OnlinePMCourses for free with a short taster course. 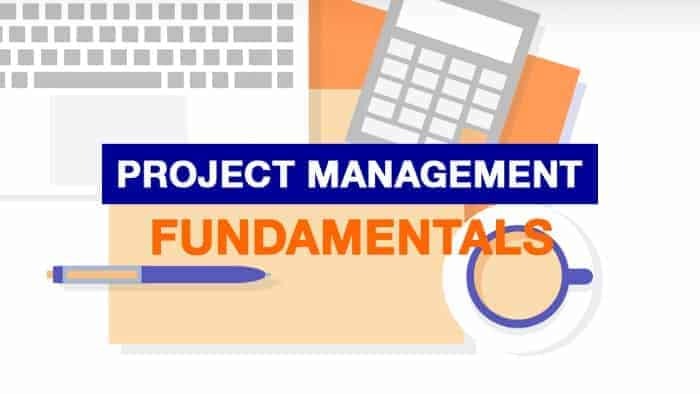 Get the Project Management Fundamentals short course free (it’s aimed at complete beginners but it will give you an idea of the teaching style and quality of the other courses). You can read my review of OnlinePMCourses here. Mike Clayton is an author and speaker specialising in project and change management, leadership, influence, and risk. 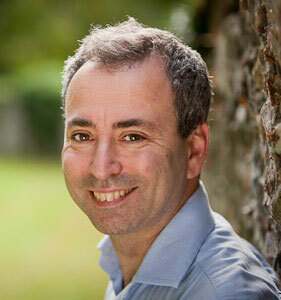 He is the author of Risk Happens, Brilliant Project Leader and a new book out this month called Smart to Wise. You can follow him on Twitter at @MikeClayton01. Can you comment under an assumed name? Sort of like ‘throwing someone under the bus’, but in reverse? I had a boss who had a reputation for being pretty tough. He often suggested that we use him as a ‘scapegoat’ if it suited us. Whether the input is positive or negative, can you suggest that it was from another party than yourself in order to introduce it to a team, semi-anonymously? That sounds like a good strategy, as long as the person whose name you are invoking is happy with the tactic. I have worked on projects ‘by committee’ before – and this post is spot on. Thanks for the words of wisdom! You’re welcome! It was good to be able to work with Mike on this article.